I'm pleased to introduce debut thriller author and friend Karen Van Den Heuvel. 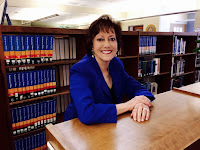 Karen's diverse experiences as an attorney, certified civil mediator, Registered Dietitian, teacher, speaker, and published author with more than 20 years experience in the corporate, government, and private sectors have fueled her desire to assist people live fuller, richer lives. She desires to help people add spice to their lives whether it is through her romantic suspense novels or through her nutrition and health blog. With two grown children, one in medical school, and the other in graduate school, Karen lives with her husband, Joe Fischer, in Colorado. 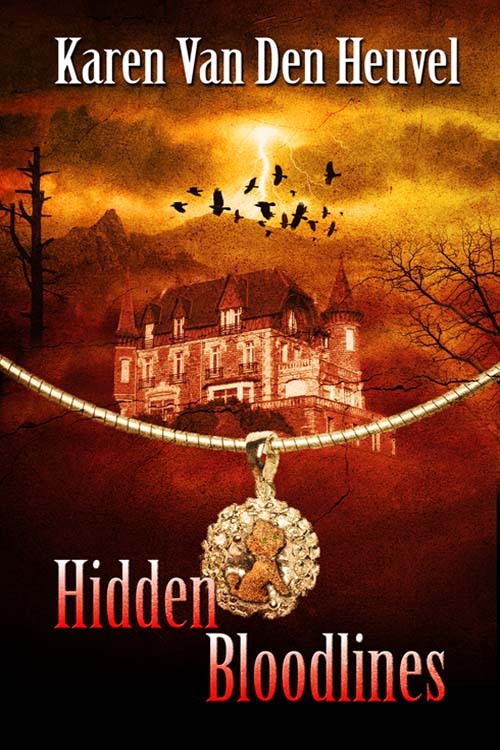 Her debut romantic suspense novel, Hidden Bloodlines, was released in July. It is the first in The J.C. Classified Series. 1. What is the genre of your book? How did you choose the genre? My book is a romantic suspense thriller. I believe most writers choose the genre they enjoy reading. I love suspense, thrillers, and mysteries with a bit of romance. Although not heavy on the romance, it was enough for a traditional publisher who only publishes romance to want it. It’s best to write what you know, and as an attorney, I chose to make my protagonist a lawyer. The difference is with the areas we practice. My protagonist is a criminal lawyer while I am a civil lawyer who teaches Business Law at the university. Personality wise, my protagonist is inspired by my daughter, Victoria. 3. What/who inspires you when you feel writer’s block coming on? When I feel writer’s block coming on, I pray, walk, and change the physical location of where I write. I like to go where there is no cell phone or internet reception in a natural setting that reminds me of the power of God. Prior to the 2013 flood, I regularly wrote in Viestenz-Smith Mountain Park next to the rushing river. Since the flood, I’ve tried new places but always seek God’s place. 4. What advice would you like to give aspiring writers? Learn from those who went before you and develop your craft. Write, revise, and keep revising until it’s the best you can do. Then follow your dreams and never give up. 5. Did you have to do much research on the background of your story? I believe that research is critical to make any book believable and the research I did was quite extensive. From the history behind the Dark Sacrament and real cases of exorcisms to the location, inspired by the Stanley Hotel in Estes Park, its legendary ghost stories as well as the Ute Indians and their vision quests, research was the foundation on which my story was created. Gutsy Colorado attorney Victoria Bailey has just successfully prosecuted a serial killer…or has she? Betrayed by her college sweetheart, she’s vowed to remain single and dependent on no one but herself. All goes according to plan until her best friend’s wedding rehearsal. A missing groom, a murdered trial assistant, and an unexpected encounter with two men from her past bring her well-controlled life crashing down. Highly decorated, retired Navy SEAL Christian Van der Kruis has seen much death and is ready to experience a new life. Now part of a global special ops organization, he attends a wedding, never expecting to be brought face-to-face with death and the only woman he ever loved … Victoria.